Dunder Casino is relative new and was founded in the year 2016. 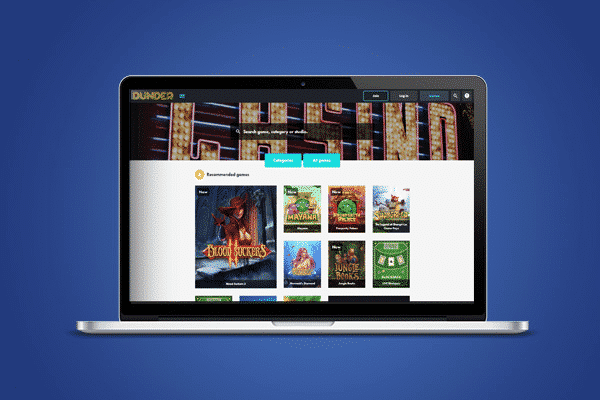 Dunder is owned by MT SecureTrade Limited Casinos and is regulated and licensed by the Malta Gaming Authority, Curacao eGaming Commission and the UK Gambling Commission. In the casino you will find games by all well-known casino games providers including NetEnt, Microgaming and ..
Dunder Casino is relative new and was founded in the year 2016. 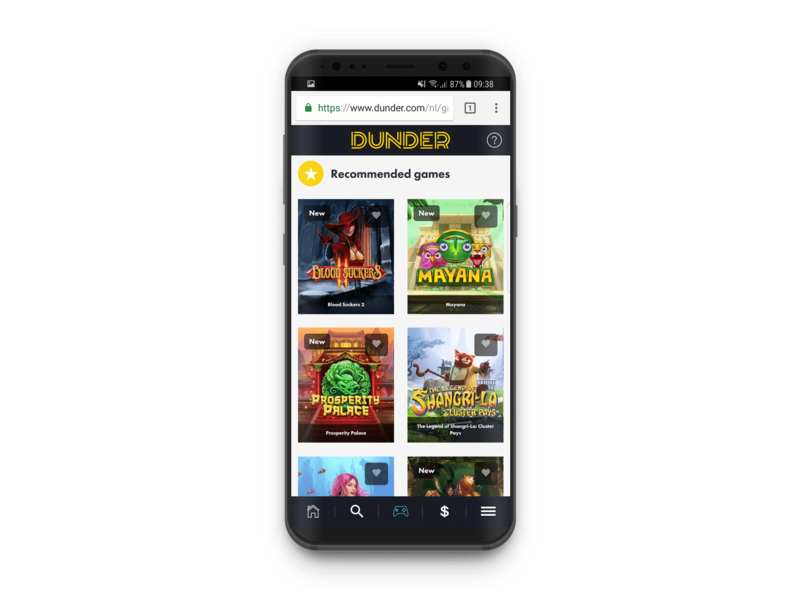 Dunder is owned by MT SecureTrade Limited Casinos and is regulated and licensed by the Malta Gaming Authority, Curacao eGaming Commission and the UK Gambling Commission. In the casino you will find games by all well-known casino games providers including NetEnt, Microgaming and Betsoft. Besides that Dunder is home to a great live casino filled with games by NetEnt and Evolution Gaming. New players that sign up today will receive 50 Free Spins without making a deposit. And that’s not all! Dunder also offers a 200% welcome bonus up to €200,00 and 180 more Free Spins on deposit. Ready to try out this cool casino? Then register your free account on this page! Recently we arranged an exclusive no deposit bonus at Dunder Casino. All new players receive 50 free spins on registration (no deposit required). Till yesterday all players received 50 free spins on Starburst. Today Dunder Casino changed a few things. New players from Germany, New Zealand and Canada that join Dunder now receive 50 free spins on Book of Dead. Players from all other countries still receive 50 free spins on Starburst. Book of Dead is one of the most popular games in Germany, New Zealand and Canada. That is one of the reasons why Dunder Casino now offers free spins on this game to all of our visitors. Keep notice that only visitors of BestBettingCasinos.com receive this exclusive free spins bonus at Dunder Casino. Open Dunder Casino and collect your 50 free spins on Starburst or Book of Dead. 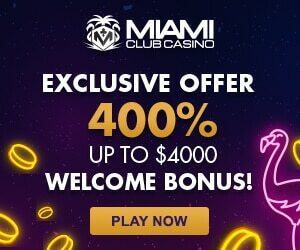 31-10-18 Bonus update - 50 Free Spins! We have some great news! We arranged an exclusive bonus deal with Dunder Casino. This bonus is only available when you join Dunder Casino via our website (click here to open Dunder Casino). All new players now receive 50 free spins on Starburst. There is no deposit needed to collect this bonus. You only need to register a free account at the casino. After you registered a free account you receive 50 free spins on the popular video slot Starburst. Open Starburst and start playing this game for free. You can win real money with the free spins. Dunder has no maximum cash out on free spins. When you are lucky you hit a few big wins and you walk away with some free money today. You need to wager the free spins winnings 25x before you are able to withdraw your winnings. This is very player friendly bonus condition because most other casinos have 35x or higher wagering on free spins. Here you can read more about Dunder free spins. Keep notice that this is an exclusive bonus. You only find this bonus on our website. At other websites or when you join Dunder directly you only receive 20 free spins. Open Dunder Casino and collect your exclusive 50 free spins today! At Dunder you will find it all! New games, classic games, live casino games and table games! In the gaming lobby you will find in the top the games you played most recent. Underneath that you will find a selection with recommended games based on which games you played and which are new. When you scroll down further you will find an overview with different game categories where games can fit in. By clicking an categories you can easily explore the available casino games and find new suiting your wishes.  Some of the available categories are Egypt, Sticky Wilds, Free Spins, Stacked Wilds and Re-Spins. Underneath the overview of categories you will find a full list of all the available games. This list holds hundreds of the best games by providers from all across the globe. At the moment you will find games by NetEnt, Microgaming, Betsoft, Elk Studios, Amaya, Play’n Go and WMS in the casino. Check out the Dunder website for a full overview of the available games. At Dunder Casino you will find multiple convenient features which make you gambling experience even better. As told before you can easily explore games by choosing a category of games which you like. In this way you will get an overview for example the best live casino games, expanding wilds games and the games including a free spins bonus. But there are more handy features. If you are looking for one of your favourite games you can use the search field in the top right or the slider on top of the page. While typing Dunder will show you all matching games. And if you like you can even search for all the games by a provider. Once you found your favourite games you can also like it by clicking the ‘’Heart’’ symbol. Once you do this the game will show up when you click on favourite games at the top of the page. In this way you can make an overview of all your favourite games! This makes finding your favourites a lot easier! Nowadays most online casinos accepts mobile players. But at Dunder Casino it’s different. The casino doesn’t only accepts mobile players, it really optimized the whole casino for mobile playing. Once you open the mobile website of Dunder you will see what I mean. During this review I also tested the mobile casino and I can see I really like it. With the top and bottom menu’s you can easily navigate to the most important pages of the casino. Because of this heading to the game overview or cashier is always possible and very easy. Making a deposit only took me a few steps and seconds and heading back to the gaming lobby was only one click. Search, opening and playing games is always quick and smooth. And that’s why I can really recommend Dunder as your new mobile casino! Dunder Casino is home to over 1.000 casino games including some very enjoyable live casino games. In the gaming lobby you will find multiple live games by NetEnt and Evolution Gaming. Both providers are on top of the current live casino games industry. 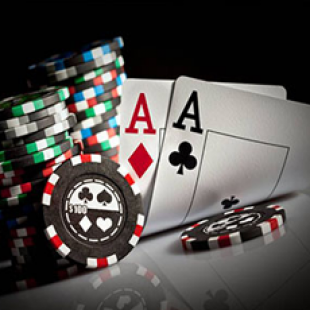 With the current portfolio of games you can play Blackjack, Roulette, Baccarat, Casino Hold’em and Live Three Card Poker. In the gaming lobby you will find all games with table matching you betting wishes. Besides the regular games you will also find some special games including Caribbean Stud Poker and the exciting new Money Wheel game by Evolution Gaming. Open the live casino, choose your username and explore all the available games today! Click this link to navigate to the Dunder website. Choose for the ‘’Sign up now’’ option. Take the final step and fill in some more personal details. Finish by clicking the ‘’Continue’’ button. Enter the verification code Dunder has send to your mobile phone. Once you did this your account is ready! Once your account is verified you can open the Dunder website and log in. Open the Starburst Video Slot to play your 50 Free Spins. Good luck and have fun! Second deposit; Make a second deposit and collect a 50% deposit bonus up to €150,-. For example; When you deposit €100,-. Dunder will add €50,- bonus money. You can hit the casino with a total balance of €150,-. Third deposit; Make another deposit to collect a 25% bonus up to €400,-. For example; When you make a €100,- deposit. Dunder will add €25,- bonus money. All with all you can collect up to €600,- and 200 Free Spins at Dunder Casino. A nice welcome package for all new players. Check out the Dunder website for this offer or the terms and conditions. Dunder removed all casino bonuses for players from Sweden. 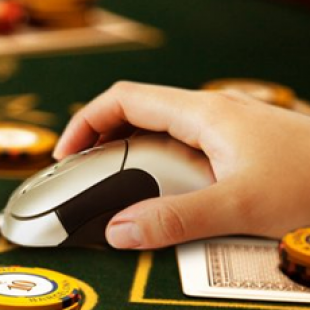 On the 1st of January the Swedish gambling commission activated a new gambling law. Online casinos can now only accept players from Sweden when they have a valid Swedish license. Dunder has a valid license and they are allowed to accept players from Sweden. Casinos with a Swedish license are allowed to offer one welcome bonus to new Swedish players. They are not allowed to offer cashback, free spins or other promotions. Dunder decided to remove al bonuses. And the added Bank ID gaming in Sweden. Bank ID Gaming is very popular because players from Sweden don't have to register an account when they want to play at Dunder Casino. Simply open Dunder Casino and transfer money with Trustly. You can play instantly and when you cash out your money you receive it instantly. You Free Spins will be added to your account every at 01:00 CET. They will expire after 24 hours. Make sure you play them in time! You will need to wager your deposit bonus plus your initial deposit 25 times before it will be transferred into real money. After doing this you can cash out your balance. You will need to wager all winnings from free spins a total of 25 times. 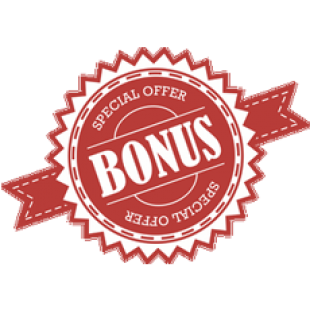 When you receive a bonus please notice that all bonus money will expire 30 days after begin rewarded. So wager your money in time. As stated before, please make sure you read the terms before taking a bonus. When you are in trouble or have a question you can open the Help Centre. Simply click the question mark in the top right to open this help centre. In the Help Centre you will find an extensive F.A.Q. section including hundreds of questions. When this doesn’t get you further you can reach out to the customer support department. You can reach them by sending an email to help@dunder.com. If you like you can also open a live chat. The live chat feature is available from 11am - 11pm CET. And when the live chat is unavailable you can use it as a message sender. In this way you can leave a question and the support department will reply when they start working again. All with all it would be better when the support department was available 24/7 but this option is pretty nice. After this Dunder Review we have a clear view on this relative new casino. All with all we can say Dunder is doing a really good job as a new competitor of the current market. For a new casino they offer a very complete portfolio of casino games. The amount of providers is pretty amazing and the integration of the live casino is also great. Besides the variety of games Dunder Casino has more benefits. 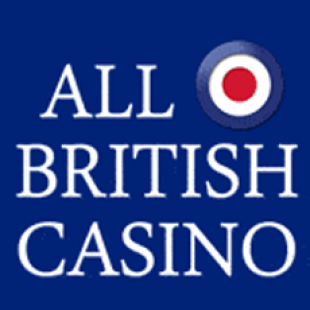 We really like the design, mobile casino and the user friendliness of the website. Everything works like it should and how you expect it to work, which is great. Other good things about this casino are the bonuses, live chat, SSL encryption and the fun promotions. Of course there are also thing we think could be better. One thing we think really should be improved are the support hours. If possible a 24/7 support department would be great. Besides this we kind of dislike the high withdrawal free (€2,50). This is not very player friendly and feels like a rip off. Let’s hope Dunder can improve these things within this year?! Sign up at Dunder Casino today and collect 50 Free Spins. No Deposit Required. Licensed by UK, Malta and Curacao Gaming Commissions. Great experience on mobile and tablet. Generous Welcome Package (up to €600,00). Up to 200 Free Spins on deposit. More than 1.200 games by the best providers. Not all players are accepted at Dunder Casino. For example, people from Australia, Denmark, Belgium, the USA, Nigeria and Singapore are restricted from playing at Dunder. Open the Dunder website to see if your country is accepted at this casino. 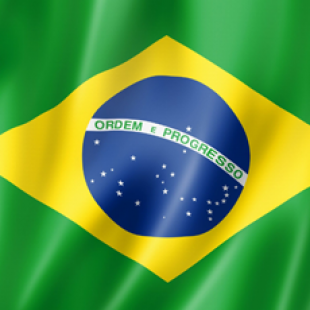 Depending on the country you are living it is also possible games by certain providers are not available. For more information, please contact the Dunder F.A.Q. section. Pretty high withdrawal costs (€2,50). Dunder Casino holds multiple licenses from the Malta Gaming Authority and the UK Gambling Commission. You can contact customer support by using the live chat feature. The live chat feature is available from 11am - 11pm CET. Besides this you can send a message or send an email to help@dunder.com. At Dunder Casino you can deposit from a low a €20,00 per transaction. Simply click on the € / $ symbol on top of the page and choose for deposit. Once you did this you can choose for Skrill, Neteller, PaySafeCard, iDeal, Mastercard, Visa and more depending on the country you are living. Choose your option and enter the amount you want to deposit. Click next to continue and finish your deposit. If you have a bonus available you can grab it by clicking the ‘’Go get it’’ button in the deposit screen. Ready to cash out some winnings? Then click the € / $ symbol in the top menu again. After that, click on the option ‘’Withdrawal’’. Once you did that you can choose to withdrawal to Bank Transfer of the way you deposited. For example; When you deposited with Skrill. You can choose to withdrawal your money back to Skrill. Sign up at Dunder Casino today and collect 20 Free Spins. No Deposit Required.